If it seems as if there's a food holiday for everything, you would be right - but, hey, why pass up any opportunity to eat good food? YOLO, so eat all the good food you can any chance you have. For instance, you may not have know that National Sticky Bun Day is coming up soon! In one week, on February 21, you have an official excuse to indulge and one fabulous place to do so is Grand Lux Cafe. 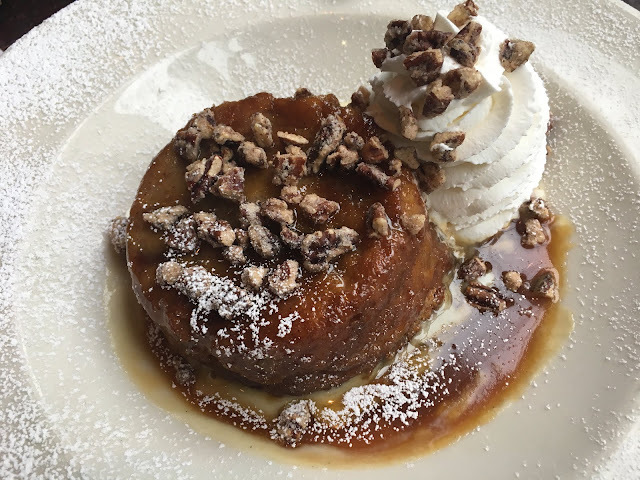 I recently visited with a friend to try the Warm Sticky Bun Bread Pudding for dessert and it absolutely melts in your mouth. It was served with whiskey sauce, sugared pecans and whipped cream. Those additions made it absolutely divine! Be sure to make your reservations to get there next week to try out this delicious dessert. Besides a magnificent menu, it offers beautiful views of the Magnificent Mile from its second floor location at Michigan and Ontario. Visit grandluxcafe.com for more on their menu and other locations.